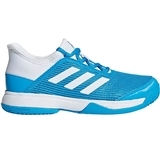 They can focus on quick footwork in these kid's tennis shoes. 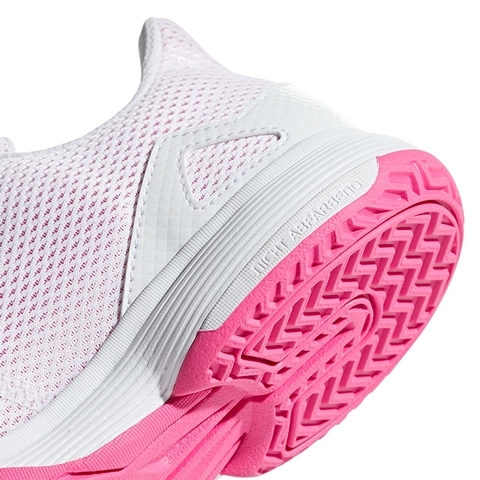 These lightweight, low profile shoes have a breathable mesh upper with supportive overlays, and a durable ADIWEAR outsole that stands up to daily practice and match play: ADIWEAR 6 outsole offers the ultimate in high wear durability. Textile base with synthetic overlays. 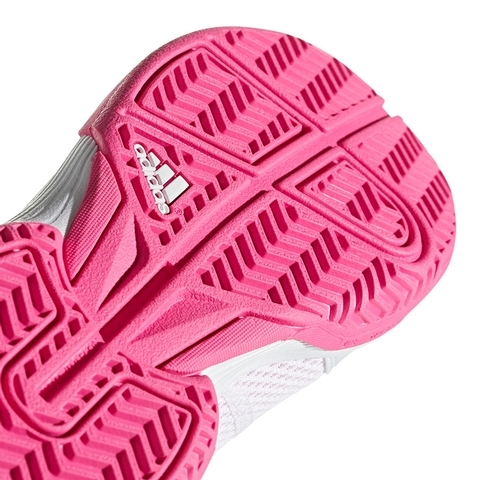 Robust rubber outsole. 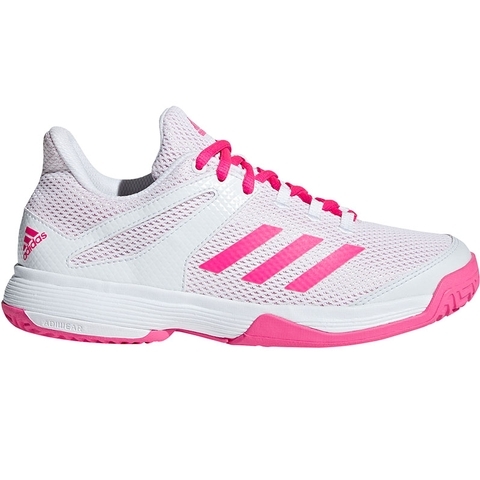 CLIMACOOL upper provides 360 degree cooling for the entire foot. ADITUFF for better abrasion resistance in the toe area. 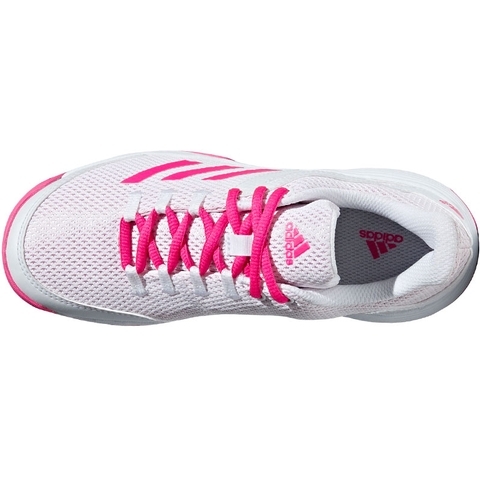 ADIWEAR outsole offers ultimate in high wear durability. 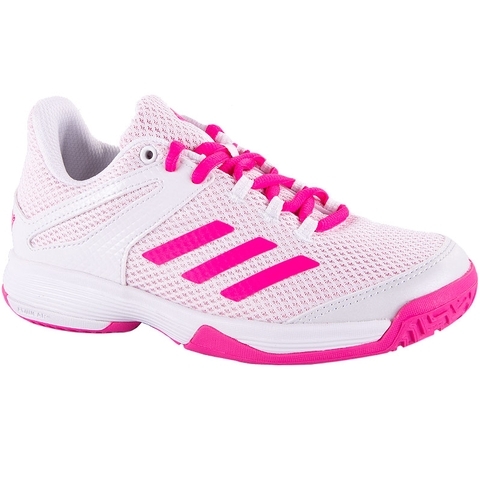 ADIPRENE + Full length ADIPRENE+ for optimized cushioning and rebounding. SPRINTFRAME construction provides stability and speed through geometrical research to create a lilghtweight and supportive chassis. 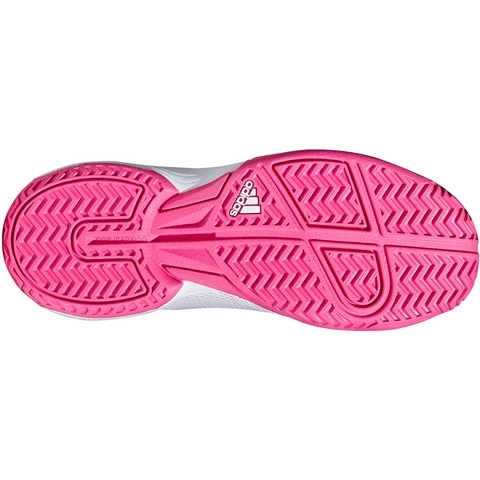 All court outsole.